Some 200 industry leaders, decision makers and government speakers from all over Australia met in Darwin recently for the 46th biennial Ports Australia biennial conference. The conference, one of Australia’s chief maritime events, focussed on the opportunities and challenges facing Australia’s port sector, delivering strong, positive messages about the value Australia’s ports contribute to society. During the two-day event, delegates attended 23 presentations and Q&A segments on the conference’s main themes, including security, economic and regulatory issues in Australia’s ports sector, social licence and community engagement, alternative energy, new technologies and innovation, port policy, Australia’s business and trade relationship with China, and coastal shipping. 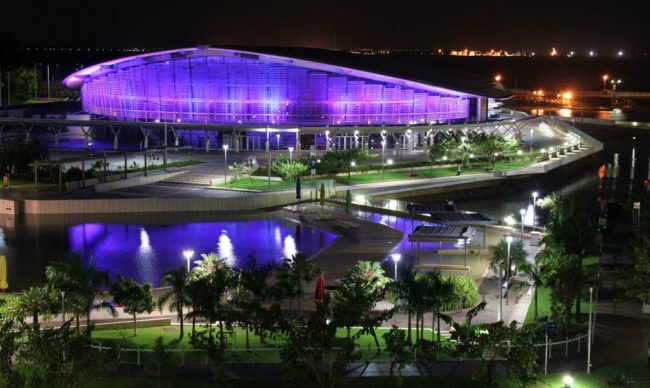 Ports Australia’s Communications Director, Mike Fairbairn, said Darwin’s unique atmosphere and welcoming personality was one of the highlights. “The atmosphere in Darwin relaxed people, and they were able to socialise. I think there were a lot of new relationships and networks built out of the Darwin conference, which is one of the main reasons we do the event in the first place. The setting actually encouraged the sector to unify more—that would be one of the legacy issues from the Darwin event”.